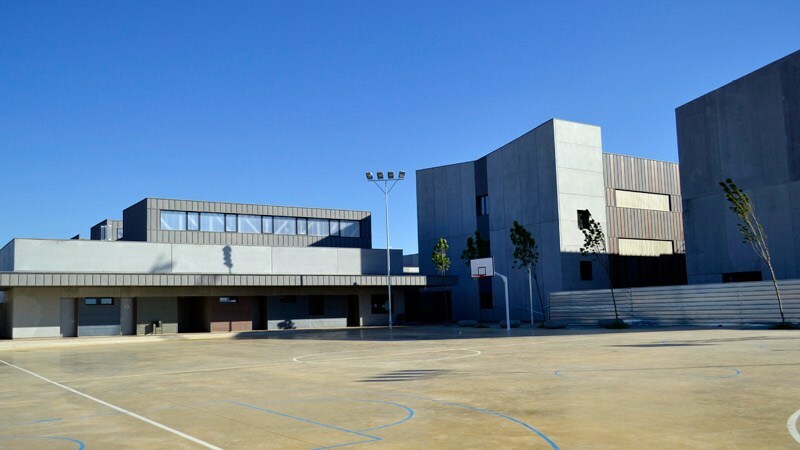 » Portfolio » Secondary school including basic vocational training in la Puebla de Alfindén, Zaragoza. Spain. 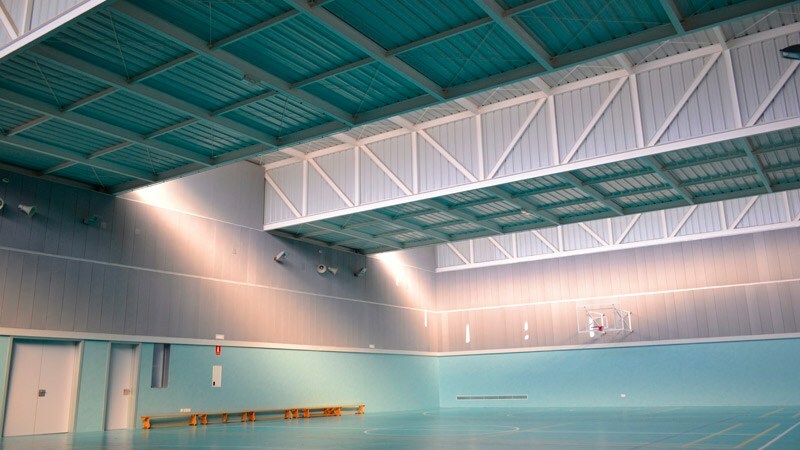 Isolated ground floor Building for gym use, with an attached space used as changing rooms for students, teachers/referees, and playground bathrooms, as well as facilities for Parents Association and Students Association. 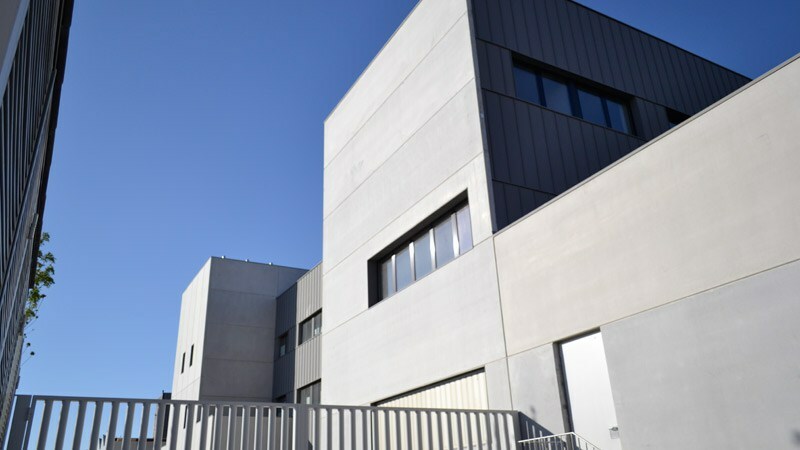 Module 1: In parallel to the Southern limit, ground floor + 2 upper floors, in most of the module, that will house the common services and the connection core between all the modules. Module 2: Perpendicularly to the module 1, ground floor and façade facing Pastriz avenue, that will house the cafeteria, the events room and the hall. Module 3: In parallel to the module 2, separated by an inner yard open northwards, ground floor and 2 upper floors. It will house a part of the program of ESO (Compulsory Secondary Education). Module 4: In parallel to the module 2, separated by an inner yard open northwards, ground floor and 2 upper floors. It will house in the ground floor the program of Vocational Training with a building intended to workshop and attached to module 1. The floors 1 and 2 will house the rest of the program of Compulsory Secondary Education. 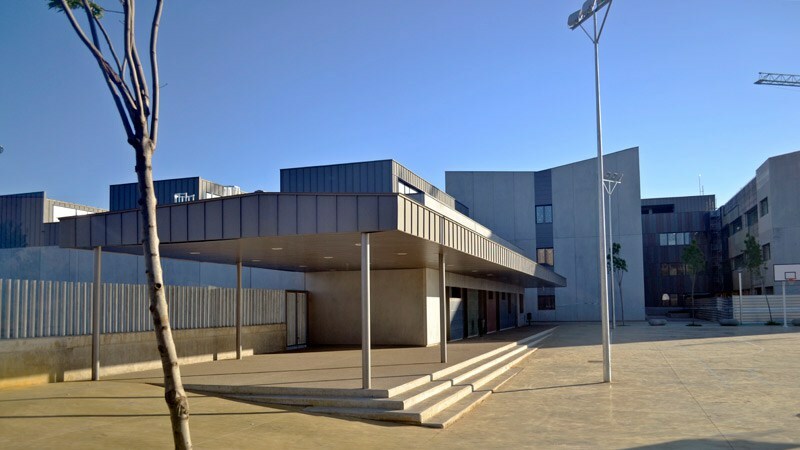 • Outdoor area for students use: covered corridor, connection module 1, with gym, walkers and yards between modules. • Outdoor parking with independent access, attached to the gym and sports court area. • Southern street for accessing vehicles to the workshop, pump room and store in the ground floor. This access will be used for executing the stage 1.B., after stage 2. • Perimeter fence and pedestrian and vehicles access.